hopeful – depressing – melancholies about anything i think i can’t have. think again. 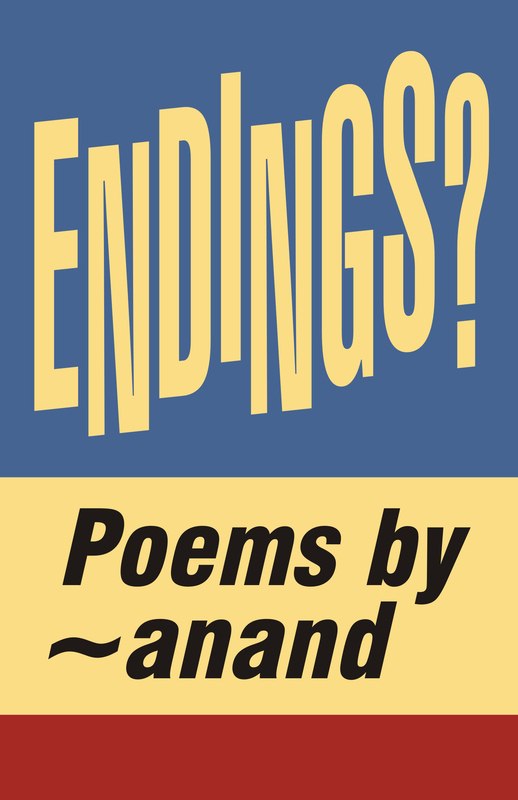 Like her initial release, Ritual & Regression, Family & Fatigue, Anand’s second collection of poems, Endings, is also dedicated to the muses of Charles Bukowski and Sylvia Plath. This sometimes melancholy, but always insightful assemblage is perfect for anyone going through a break-up. It deals with death, loss, and the past. It’s hard not to like the witty, punchy writing bashing ex-lovers or branding herself an egomaniac. Some of the poems, for example, “cricket’s content” and “Leave” have an arrogance that is downright funny. The cover is inspired by the cover of Sylvia Plath’s pivotal posthumous confessional book, Ariel. Each poem is accompanied by a unique hand-drawn piece of artwork by anand herself, and also by a talented illustrator from Croatia, Bernarda Saldo. In addition, work by artists from around the world (United States, Bosnia and Herzegovina, Venezuela, Russia, Romania, and Indonesia) were included. Many of the images are worthy of framing. about anything I think I can’t have. Think again. Writings about that living hell, that limbo, those lost long years, that we sometimes call love. Loss is sometimes real. Sometimes not. You never know if that door closed for a reason?